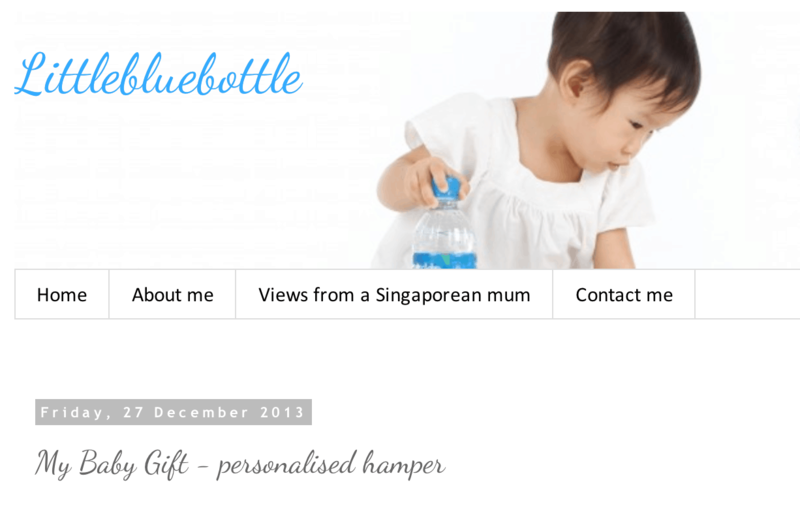 THE BEST PERSONALISED GIFT FOR BABIES AND MUMMIES! 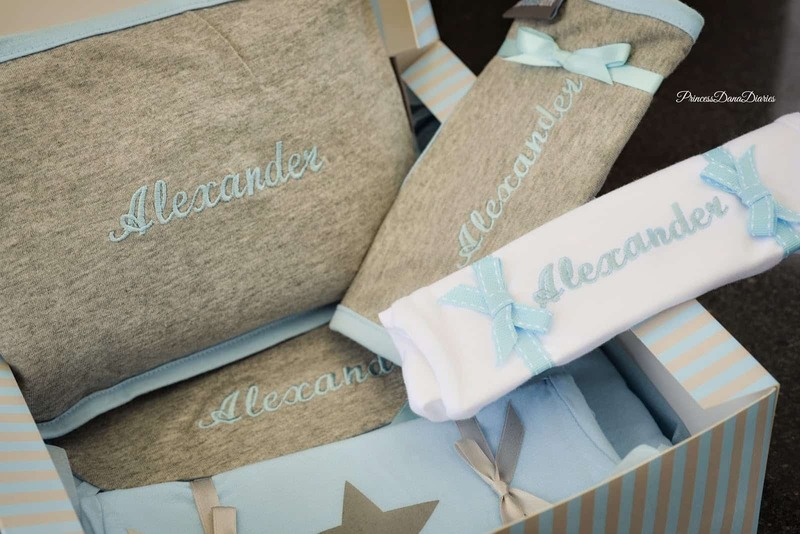 We were recently gifted a very beautiful personalised baby package for our babyboy, and I can't wait to share it with all of you! 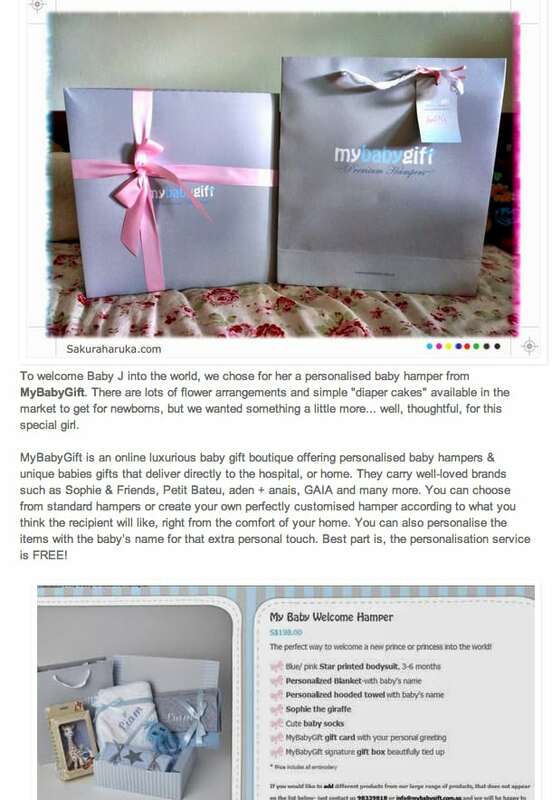 Mybabygift is an online gift boutique for mummies and babies. It sells personalised, luxurious, practical and surprising gifts! The online boutique is founded and managed by an Israeli expat mummy of four who has been living in Singapore for the past 7 years. (I really salute all mum-trepreneurs out there, it really isn't easy handling motherhood + one's own business!) 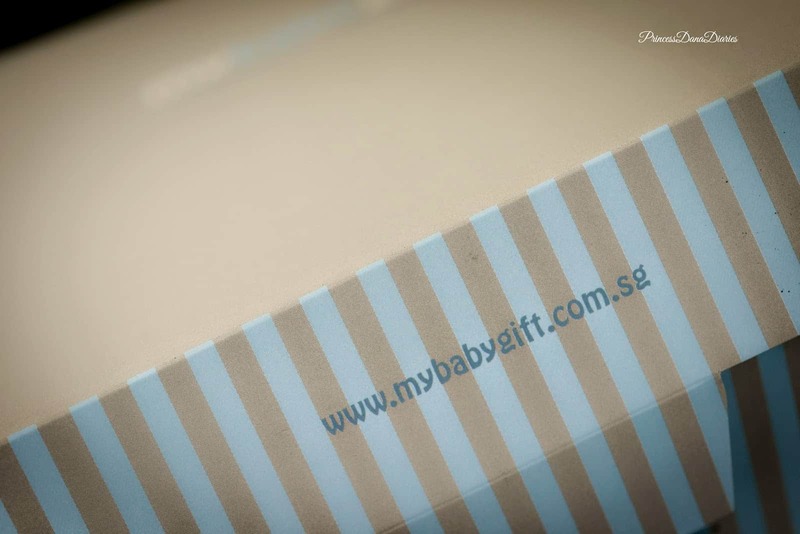 Mybabygift is first of it's kind in Singapore and Hongkong, and it's an absolutely unique gift concept. 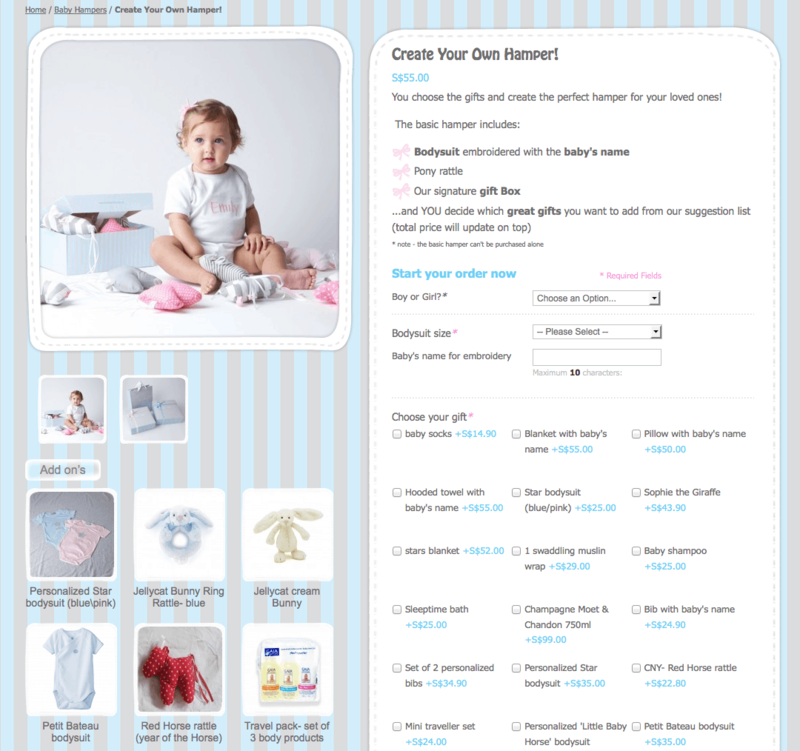 It specialises in personalised branded baby gifts of newborns, baby showers, first month celebrations, and more. 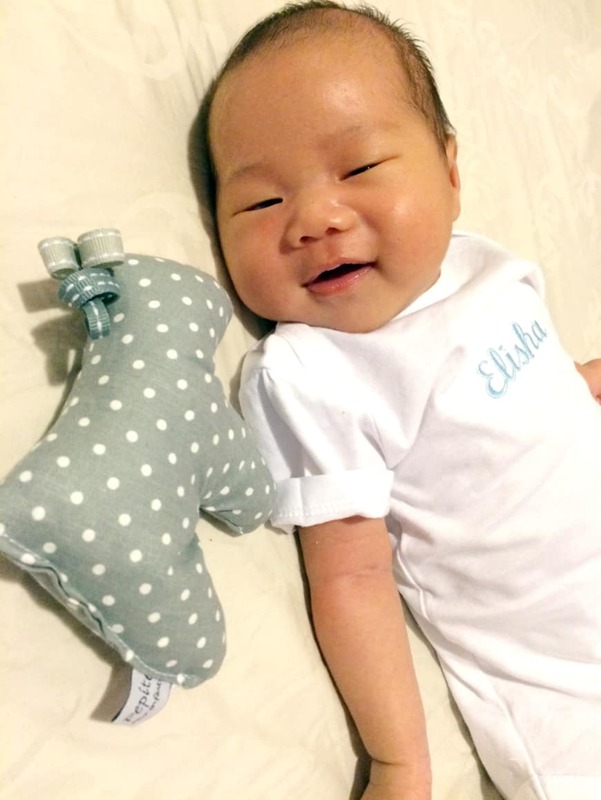 Their products are imported from international baby designers such as Jellycat, Sophie the giraffe, Anen+anais etc. 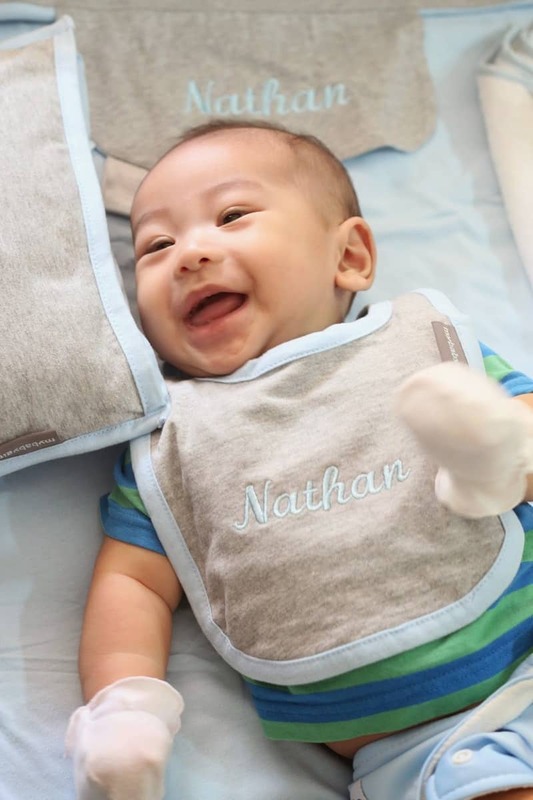 Wearing his personalised baby bib! And there's also a personalised soft white baby towel beside him which was still folded when I snapped this photo. A blue-ribboned box appeared at my door within the same day that I placed my order (Wow, talk about efficient service! 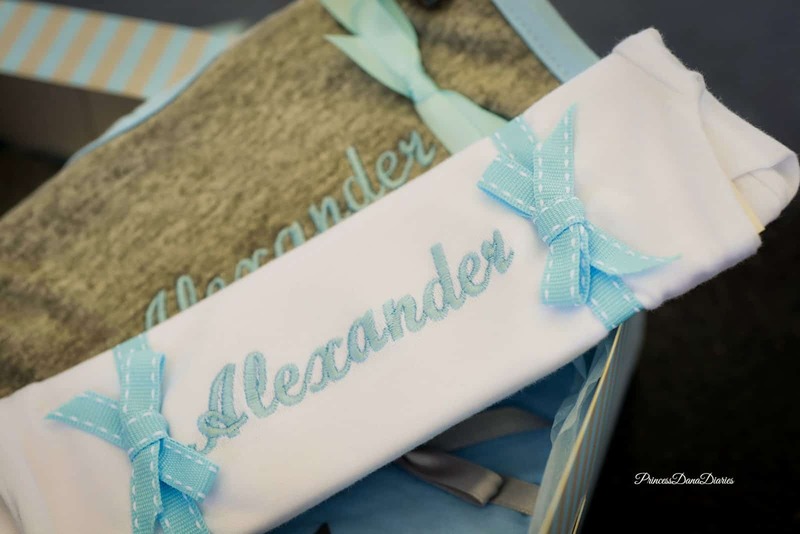 ), with almost every item beautifully embroidered with the baby’s name. I couldn’t resist taking the items out to admire them before carefully arranging them all back in the box. Congratulations, My Baby Gift has been featured in the ShopVenture blog article,Where To Buy Your Next Personalized Gift! ShopVenture is an online shopping review community, focused on fashion and lifestyle. Our mission is to make every purchase a great one! CONGRATULATIONS, My Baby Gift has just received a new review on ShopVenture! Want to advertise with ShopVenture or start benefiting from our SV for Business service? Keep writing reviews and supporting the ShopVenture mission of making every purchase a great one! 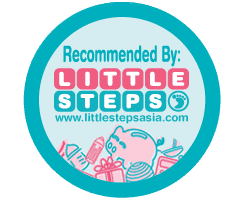 My Baby Gift Singapore is proud to be mentioned by Little Steps Asia in their guide, 'Singapore's top websites for toys and gifts'! There’s nothing like a baby shower for an excuse to go shopping, and there’s nothing we love more than perusing the best of miniature goods for babies! 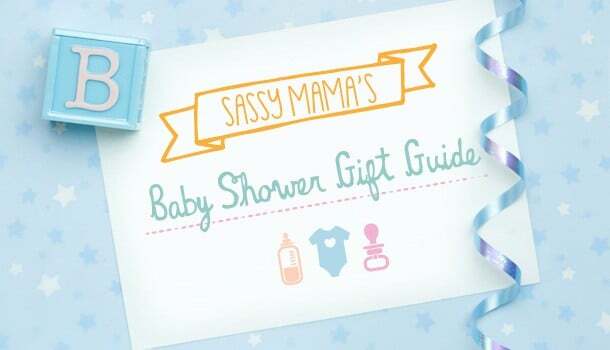 We’ve got ideas for everyone and every budget lined up in our Sassy Mama Baby Shower Gift Guide… be it French Chic or Bling Baby, we’ve got you covered with gift-spiration to treat every new beautiful bundle! 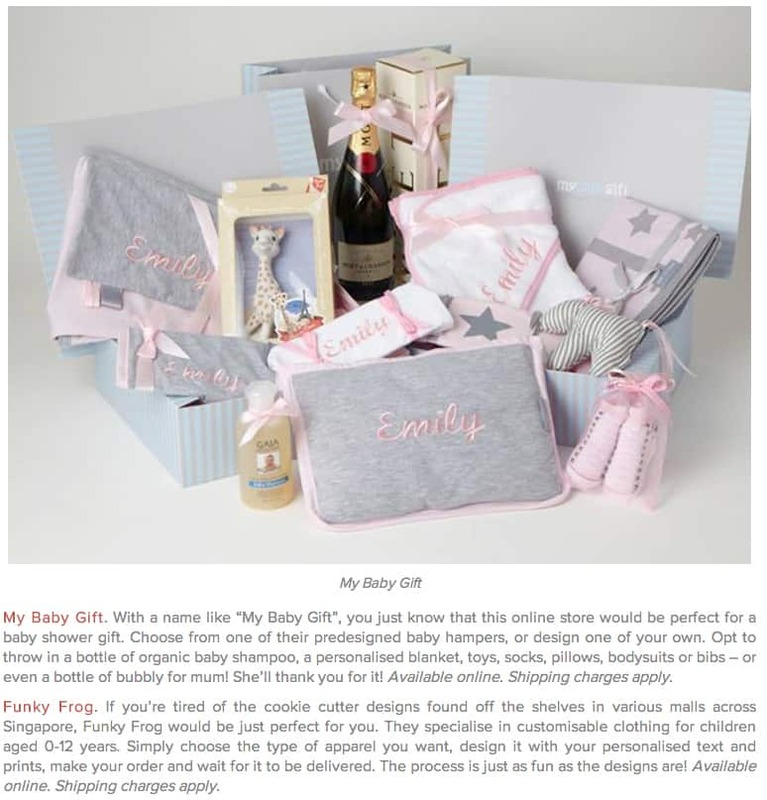 Right at the top of our Baby Shower Gift Guide List is the wondrous MyBabyGift Signature Hamper from MyBabyGift.com. As far as hampers go, this is gift royalty. 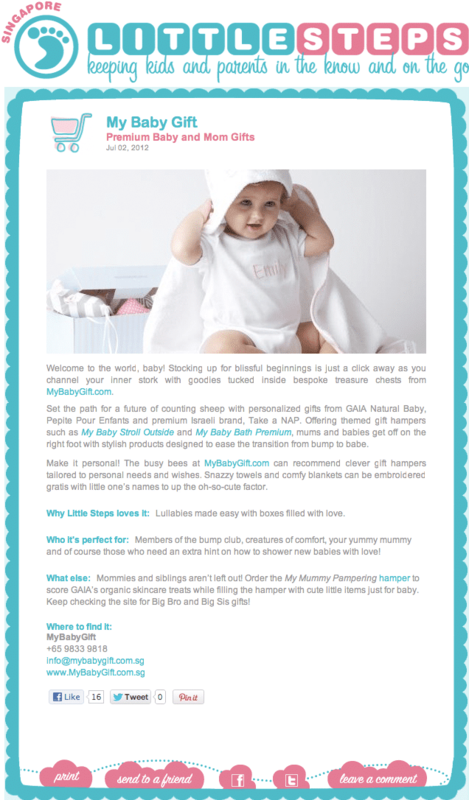 The team at My Baby Gift expertly select and assemble bespoke hampers for bubs (and mama). By far our favourite is their Signature Hamper. This hamper includes a host of great baby gifts, including 100% organic baby shampoo, a gorgeous pony rattle, Sophie the Giraffe toy, personalised baby blanket, bodysuits, baby pillow, hooded bath towel, bib and a complimentary gift card to top it all off. Just jump on their website to snag up the baby shower gift of the year! 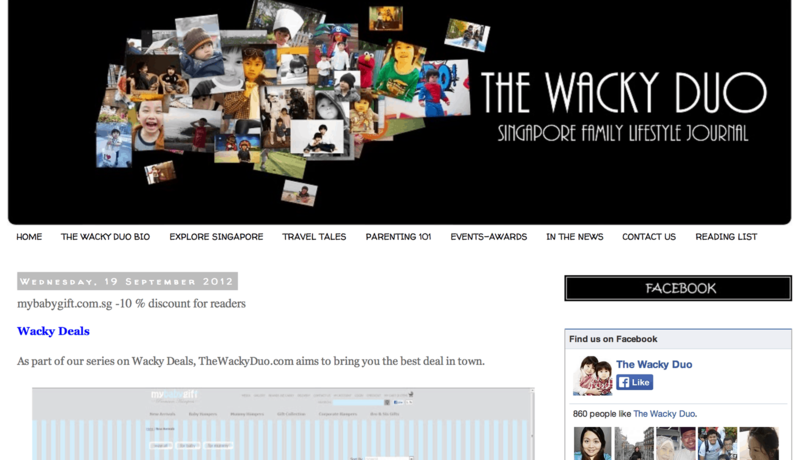 Peipeihaohao- one of the 10 finalists for the best blogger awards Singapore 2013! Naming a baby is one of the most important decisions a new parent makes as it is believed that a child's name contributes to success in life. 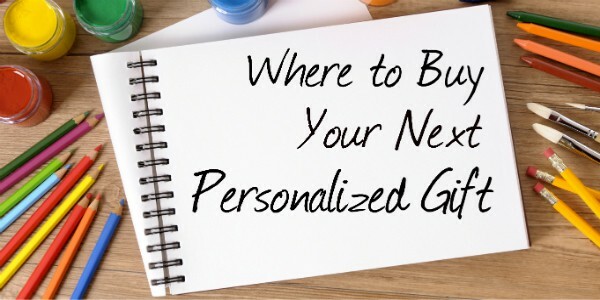 A baby name has to last a lifetime, so it's important to get a perfect fit. For us, we spent hours looking up baby names books and websites to check the origins and meanings behind the shortlisted names. Some of our friends consult parents, grandparents and or geomancy masters. All these are done in the hope that the name will bring blessings and favor to the newborn. 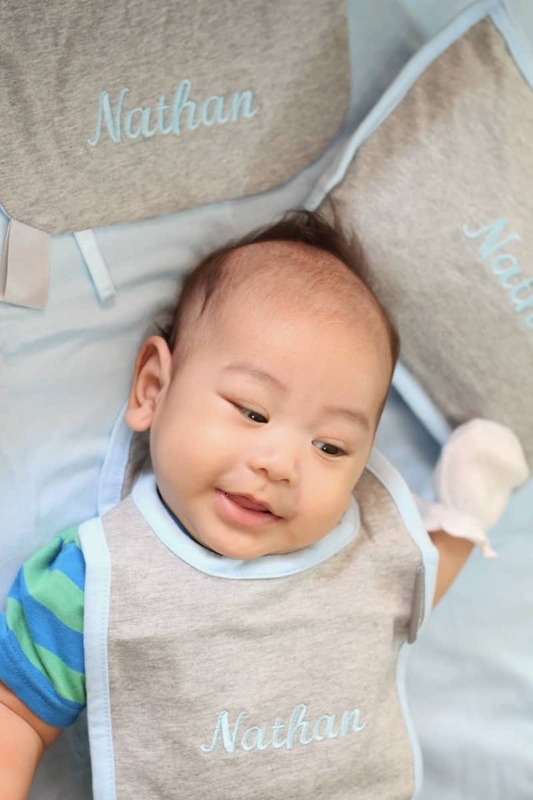 Considering so much thought have been put into the naming, it is no wonder that one of the favourite gifts we can bestow to the family is one that is personalised with the baby's name. 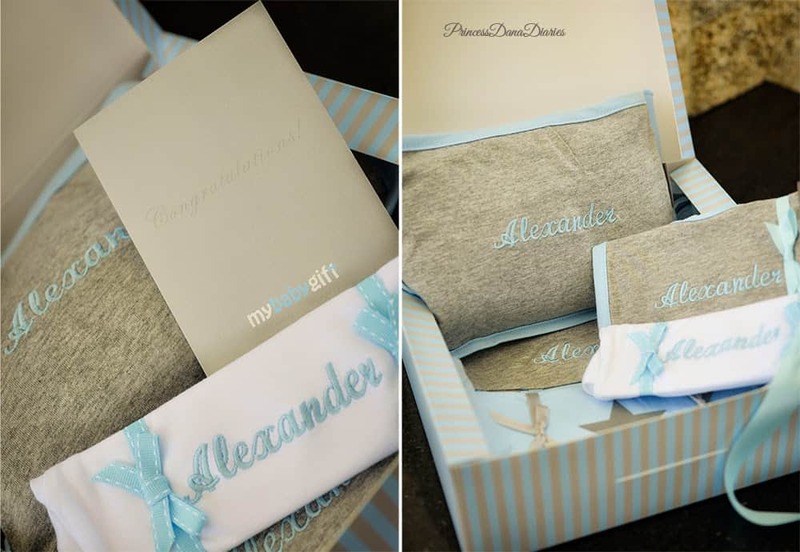 Imagine our delight to receive a baby welcome hamper for Alexander by 'MyBabyGift' - a Singapore-based luxurious baby gift boutique offering Personalized Premium Baby Hampers for babies and Mummies. 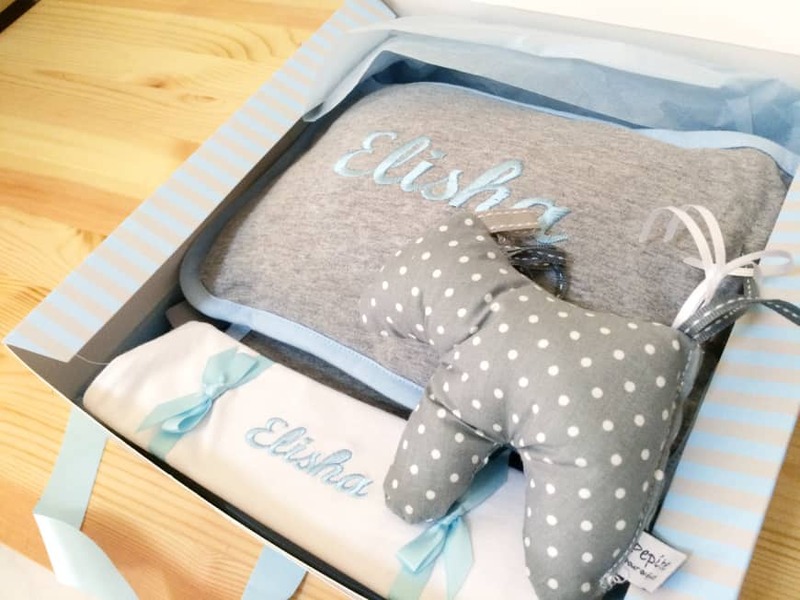 'MyBabyGift' was born to fill the demand for more thoughtful and stylish baby gifts besides the usual congratulatory flower arrangements and run-of-the-mill 'diaper cakes'. 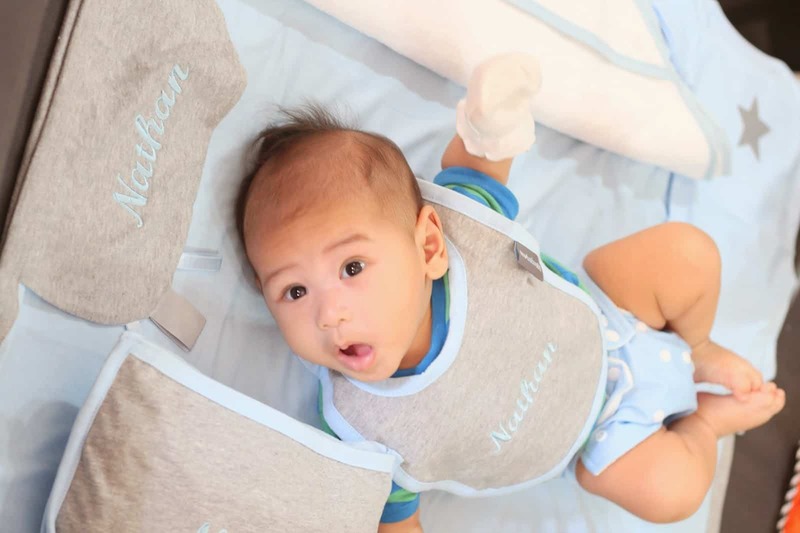 Their hampers, contemporary yet practical, are stocked with premium international brands like anen+anais, Gaia, Mothercare, Sophie the giraffe, Jellycat, Petit Beteau which Moms (and Dads) would willingly splurge on their own babies. Shop for Baby Gifts online at MyBabyGift! 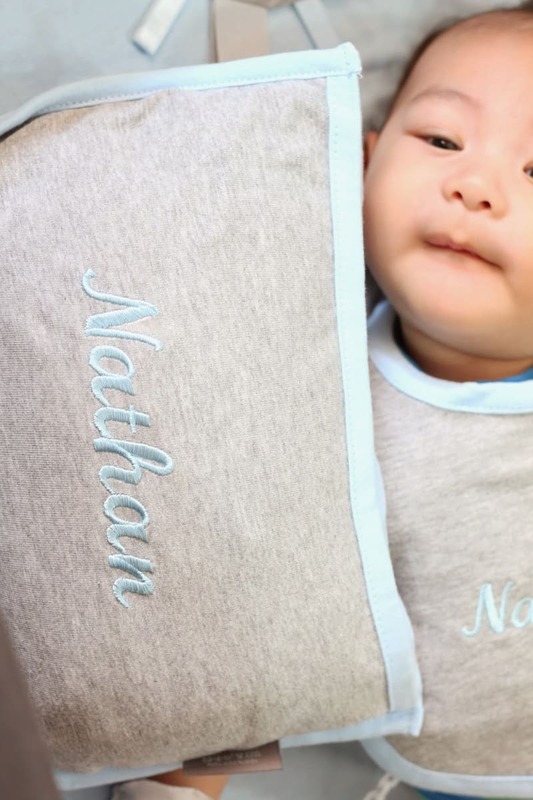 The most distinctive feature of 'MyBabyGift' is the free personalisation service where the baby's name can be embroidered on selected products (like bibs, bodysuits, pillows, receiving blankets, hooded towels etc.) at no additional charge! This gives the family a precious keepsake to remember for a long time. 'MyBabyGift' provides customers the option of customising the hampers for your desired recipients according to your budget and preference. After your selection has been made, the staff will match the colours, wrap everything beautifully and deliver your gift with a special greeting card attached. 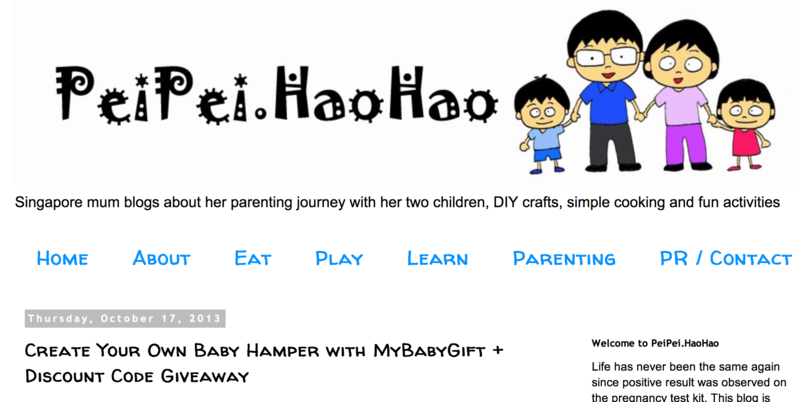 Besides baby hampers, 'MyBabyGift' carries natural organic body products for Mummies, making it a one-stop online shopping haven for baby welcome gifts. 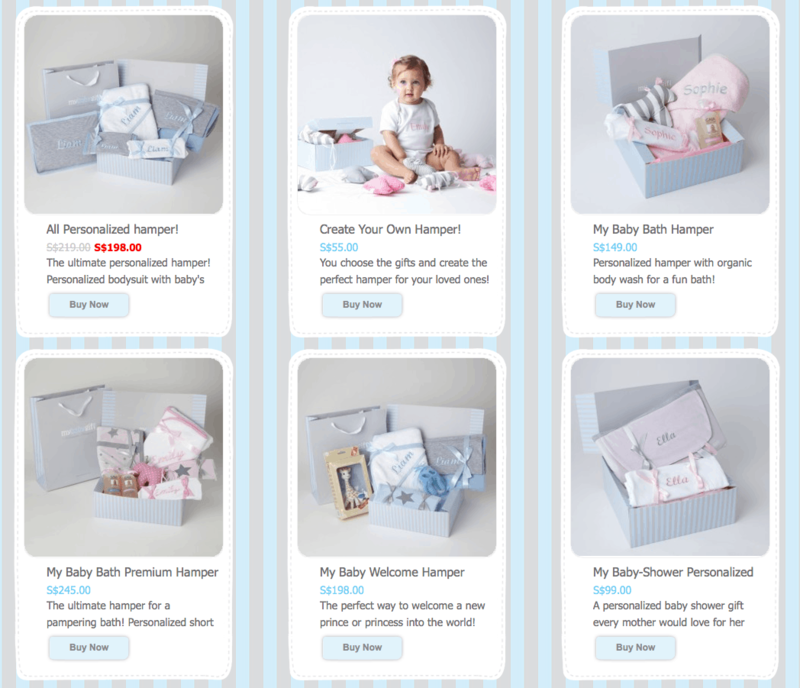 It also offers the value-added service of free delivery across Asia, so if you’re looking to send a special baby hamper to someone on this side of the world, look no further!